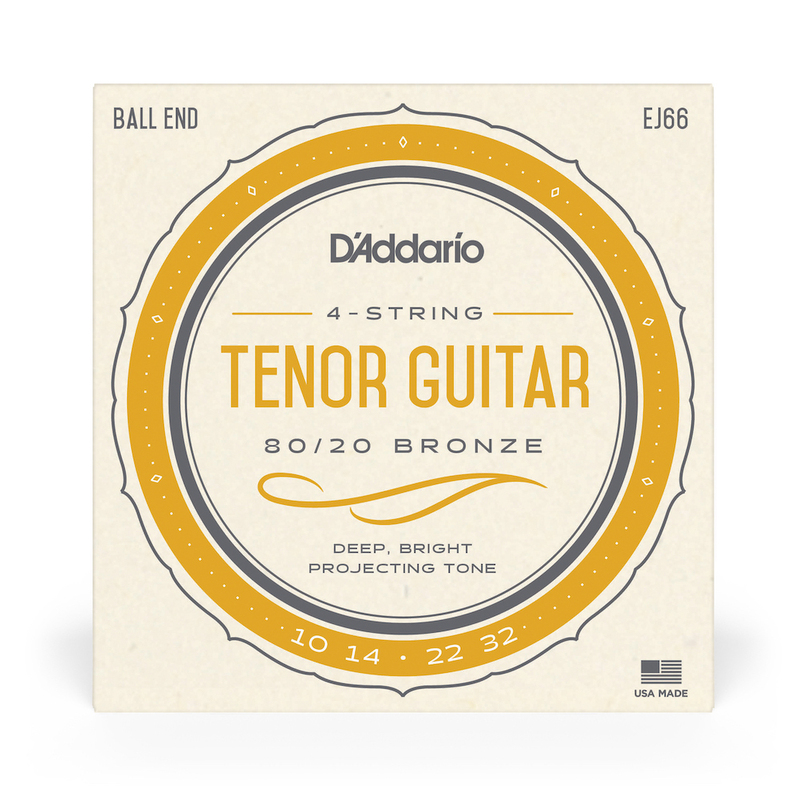 D'Addario Tenor guitar strings are made specifically for steel string Tenor Guitars. EJ66 Tenor Guitar strings are made from Plain Steel and 80/20 Bronze wound strings which provide bright, projecting acoustic tone. The only place online I can find strings for my tenor or custom strings when I want them. Amazing website. My order of guitar strings was handled very well and at very good prices. The delivery was well before the scheduled time. I will be using them again for all my stringed instrument purchases.